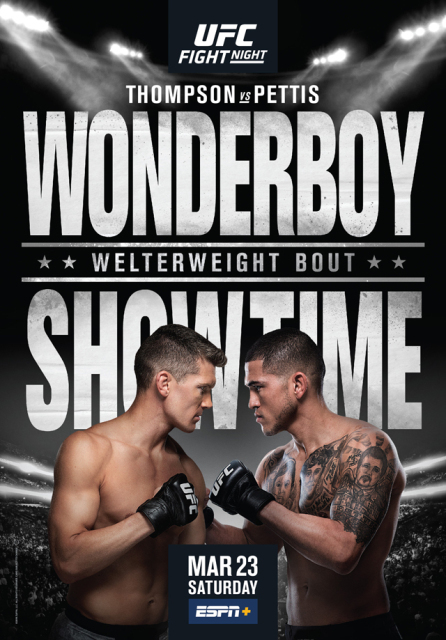 The official poster for UFC on ESPN+ 6, headlined by Stephen "Wonderboy" Thompson vs. Anthony "Showtime" Pettis, has been released. Thompson hasn’t fought since being defeated by Darren Till in May. He saw the bad end of a unanimous decision in Liverpool, England. 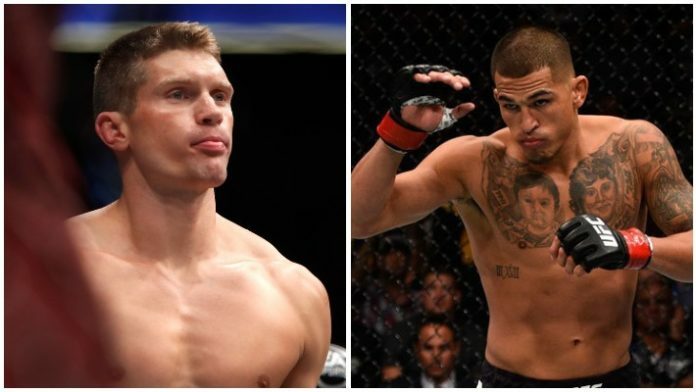 Now, he’ll make his return by welcoming former 155-pound champion Anthony Pettis to 170 pounds. “Showtime” fought in the co-main event of UFC 229 in October. He was defeated by Tony Ferguson after breaking his hand in the second round. What do you think of the poster for UFC on ESPN+ 6? And who are you picking in the main event?